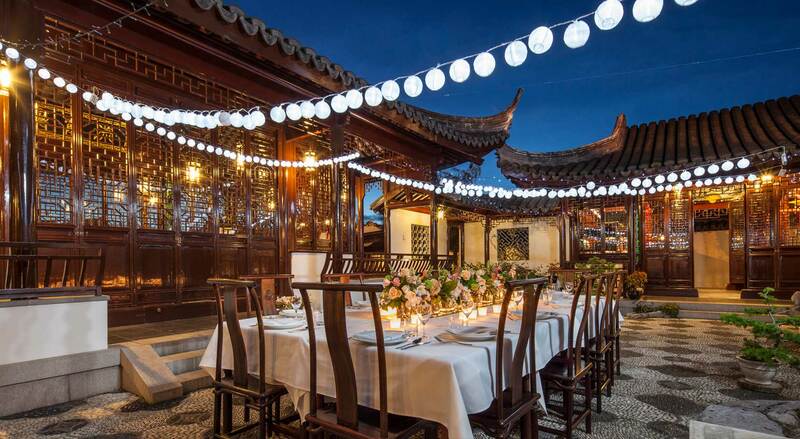 The Dunedin Chinese Garden is a flexible venue offering a sophisticated, unforgettable setting for up to 100 people. We suggest that you make a no obligation appointment to come in and view the facilities with us – there is nothing like being able to see what we can offer you. The Garden offers a sophisticated, memorable setting for up to 100 people, whether for a product or company launch, a birthday celebration or an end of year work party. Holding your conference registration and drinks at the Garden is an excellent way to break the ice and start your conference off with style. Registration desks can be set up in the Reception Hall, before your delegates wander through the Garden to meet in the main courtyard for drinks and nibbles in a relaxed setting before the conference work begins. The Chinese Garden’s Tower Room is an ideal spot for board meetings when you need a couple of quiet hours to meet and work through heavy agendas. It is a great location, particularly for out-of-town attendees who can park almost at the front door. We can also cater your meeting, with either Chinese or European food, making it a stress-free day. The Tower Room has hosted a number of business lunches, offering a serene setting where you can discuss business over an authentic Chinese yum char. Do you and your team need to find a space where you can think outside the square? Where you can take a break to wander and contemplate? That can be set up to suit your needs, with technology or without? Where you can order sustenance whenever you need it? The Chinese Garden has just this sort of space. Christmas is a great time of year to hold a party in the Garden - the weather is usually good, but even if it's not (this is Dunedin…) there are indoor spaces and covered walkways so your party can continue whatever the weather. We can make it a family-friendly occasion, with activities to keep the children amused while the adults unwind. A buffet means your guests can circulate in an informal and relaxed setting. The Chinese Garden is a perfect location for team building events and we can tailor activities to suit your group.